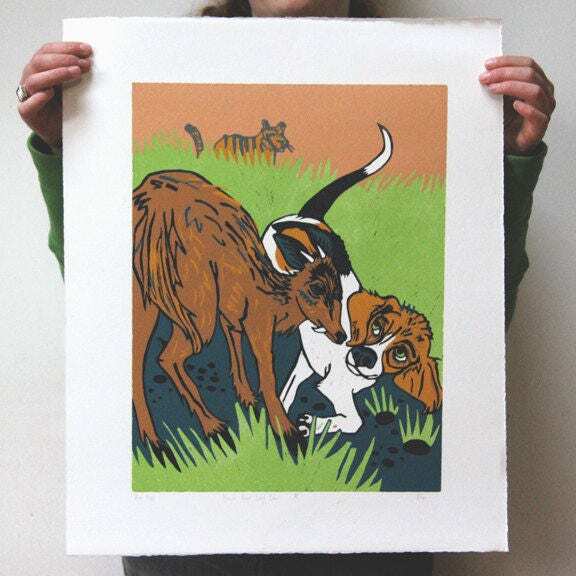 This original hand-pulled color-reduction woodcut features a cute little doggie and a small tusked deer. 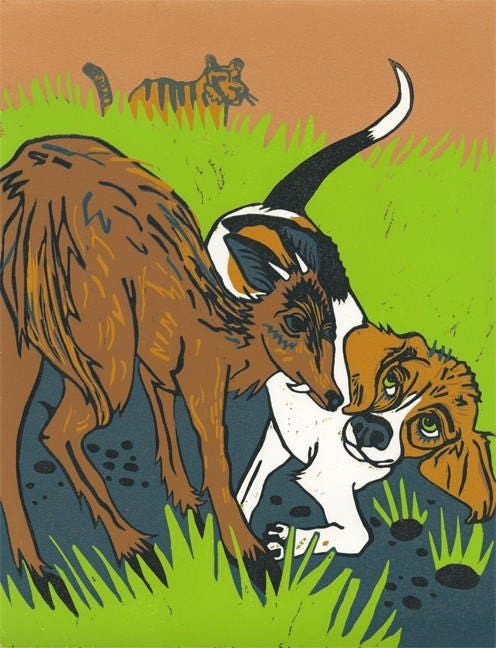 The title "Beagle Meet Leaf Deer"
Leaf Deer were discovered in Myanmar in 1997. It is rare to find a warm blooded mammal new to science, but, if you are the size of a standard beagle, it is much easier to hide. These creatres stand just 20 inches tall and weigh around 25 pounds. If you hear a bark in the woods in Burma, look for deer and watch for tusks.